The songs Kimbra has been highlighting off of the gloriously mind-bending The Golden Echo have been surprises, and it seems that my plea to have "Madhouse" and "Nobody But You" as chosen singles have fallen on deaf ears *cough, cough, is this thing on? * Well, the artist knows best, and Kimbra definitely does as the Kiwi songstress takes a detour away from the shimmering neu disco of "Miracle" and comes classically correct on an intimate live take with "As You Are". 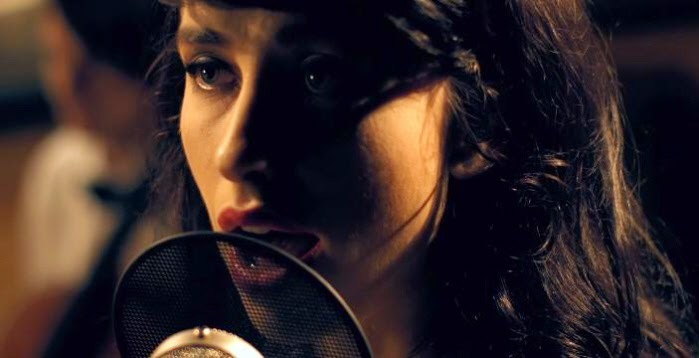 Done in collaboration with Artist Journal and backed with an small orchestral set-up, Kimbra eases out a lush and nuanced vocal performance, electrifying the sentiments she expressed on the clip's opening that this is a song about shedding every ounce of doubt and fear of self when it comes to loving someone completely, but finding out in the end that that open trust and vulnerability has been betrayed. Like a warm hand, Kimbra guides us through this relatable affliction, her feather floating vocals expanding and retracting with each flicker of changed emotion as she brings new direction to this misty blue muse. As The Golden Echo leaned to the far left when it came to sound experimentation, "As You Are" remains the more intimately pure cut on the tracklist, and to hear it get its due in this raw and deep fashion is something well-worth engaging in.